Located in the South-West National Park, Mount Eliza is the shorter and more accessible walk to that of the demanding hike to Mt Anne, looming off to the north-east. The walk to Mount Eliza is stunning from the get go; starting out from the Condominium Creek car park you steadily climb though button grass and vibrant alpine surroundings before making a steep climb to the plateau. 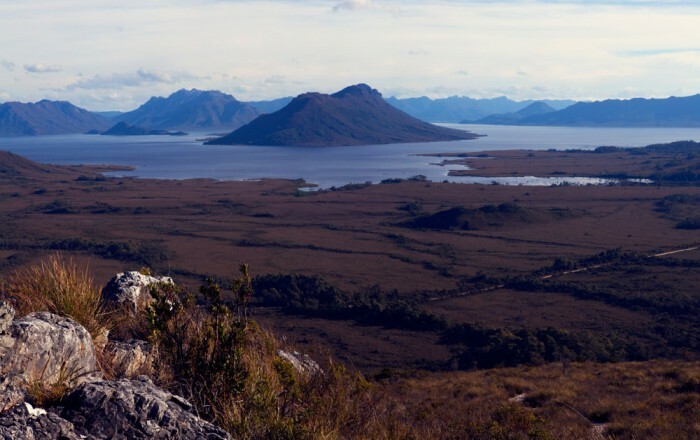 Breathtaking views of Lake Pedder and the Franklin Range can be enjoyed throughout the walk, constantly presenting you with reasons to fall in love with the area. View Google Map Directions From Hobart, head north along the Brooker Highway, then the Lyell Highway through New Norfolk. Take the Gordon River Road from New Norfolk and follow it for 60km before coming to the left-hand turn off to Scotts Peak Road. The car park for the Mount Eliza and Mount Anne walks is located roughly 21km along this road. From the Condominium Creek car park you head east through boardwalked button grass before starting the steady ascent up the mountain. 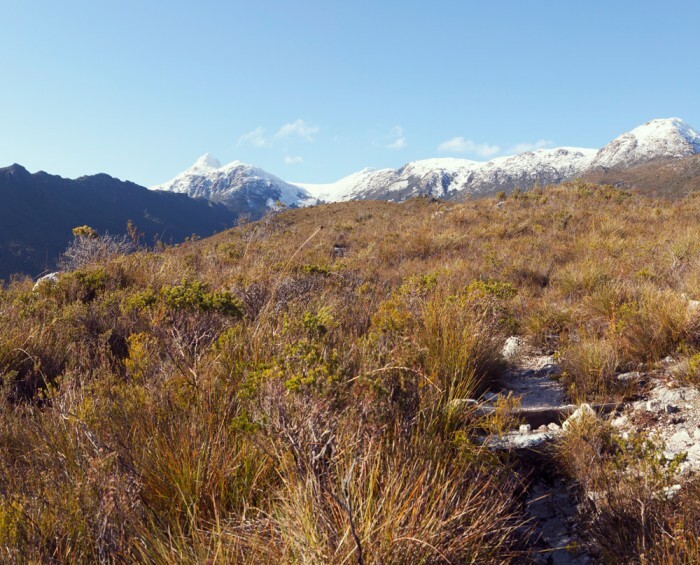 For the next 4km as you head towards High Camp Hut the track is mostly well defined gravel steps with a few boardwalk sections. Two saddles will be crossed during the ascent to Mount Eliza, giving you a brief but welcomed break from the constant climb. As you climb, you are relentlessly presented with amazing views each time you stop and look back towards Lake Pedder and Franklin Range. During these first few kilometers you gain over 700 meters, making the walk quite demanding. 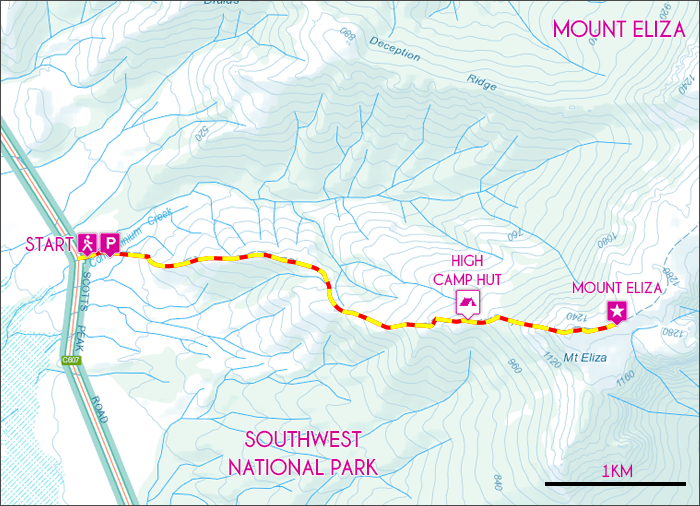 Once you reach the treeline below Mt Eliza there is a side track heading to the High Camp Hut, where there is water and toilets. Continuing on to Mount Eliza the walk turns into a scramble as you traverse a very steep spree of boulders. 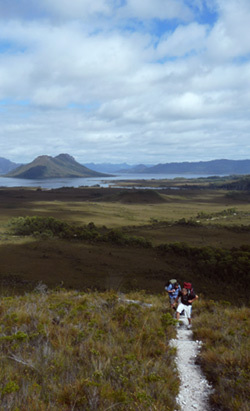 At the plateau the exhaustion from the climb is quickly forgotten thanks to the spectacular panoramic views past Lake Pedder. If time allows, I highly suggest exploring the plateau towards Mount Anne, where stunning views of Lake Judd can be seen. The plateau is also home to a vast array of alpine vegetation. The climb to the top of the plateau is about 6km in total and the walk back follows the same track. 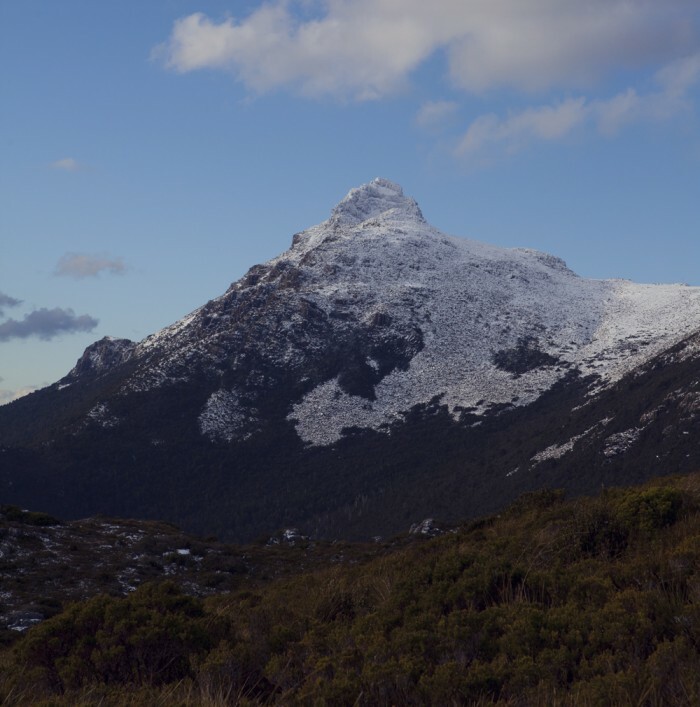 Like most alpine walks in Tasmania, conditions can be extreme and weather can change quickly. Be sure to pack for all conditions, even if fine weather is forecast. Viability can also be drastically reduced in thick fog. There are many steep and difficult sections on the final accent of Mount Eliza which require a high level of physical fitness as well as an awareness of your surroundings (don’t fall off any cliffs, please).